Lion Charles Caudell – 1929 – 2018 | Roswell Lions Club, Inc. Lion Charles Caudell passed away in his home on February 25, 2018 after an extended illness. Known as “Charlie” to his Lions’ friends, he was a recipient of the Melvin Jones Award and a Lifetime Achievement Award. A very active member, Charlie worked countless hours supporting our various projects over the years. He chaired our booth for years at the Roswell Spring Festival and was very good at selling apples, Christmas trees and recruiting new members. Charlie could sell anything to anybody. He always asked how you were doing, shook your hand and had a contagious smile. He epitomized our motto “We Serve”. 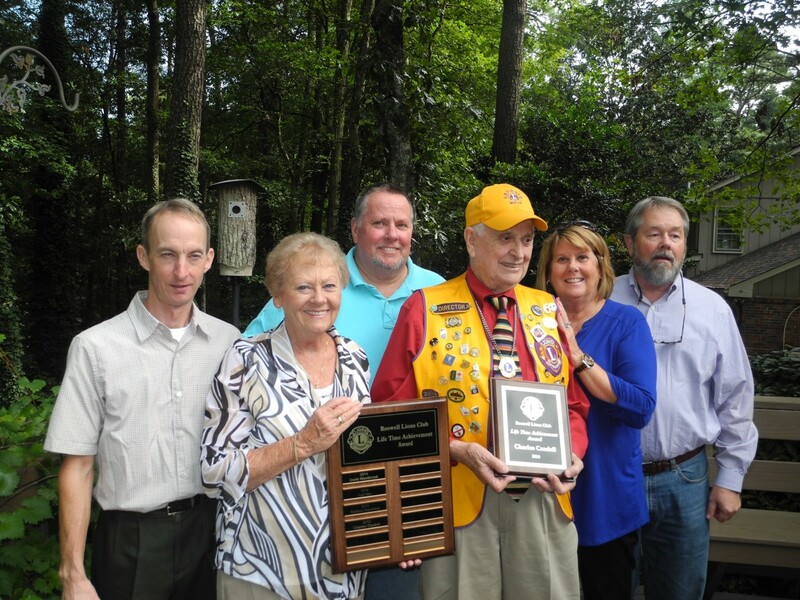 Lion Charlie Caudell surrounded by his family upon receiving a Lifetime Achievement Award from the Roswell Lions Club. This entry was posted in News and tagged Charlie Caudell. Bookmark the permalink.